As a birthday present, my wife got this book for me! 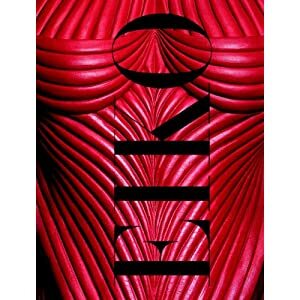 It is an Art book from Eiko Ishioka. You can get it as a bargain from Amazon starting at $299! It is cheaper if you don’t need the first edition though. “Being timeless, revolutionary and original” are the three criteria by which she had judged the quality of design works. Understanding this and the meaning, it looks to me that other great people have used these keywords as well to create their unique selling proposition, such as Steve Jobs. Makes sense to me. Without being an Apple-evangelist I have to admit that every product is timeless, revolutionary and an original contributing to their success story. When I think about timelessness, I think about culture, the way we interact. Timeless efforts are things we do to survive as well. Timeless design does not distract, it does support. Timeless art inspires you again and again. Everything that puts the status quo into question. A revolution is not successful if nothing is changed for a better. Checking constantly for improvements and chances to do something better is part of our daily (r)evolution. In terms of art and design it means to me: to combine things that haven’t been tried before, going a path that no one dares to walk, making decisions that will last. Insisting to represent your own ideals instead of copying existing patterns. In regards to art this point seems clear. But even then many artists would understand that originality stands for a unique style but I’m afraid that is not true. It rather points to original ideas and concepts, a style is always a secondary element in any depiction. In terms of personality, originality points at the origin, never deny where you come from, stand behind your decisions and never regret anything as it becomes part of your personality and personality reflects in your deeds. Even failure means growing as an artist. I think there are many other words that might be helpful to label a bar on which we can raise our skills. Starting with these three is a great benchmark for your work and a great way to start. I believe many people live by these words without even knowing, but knowing what helps you to create better works is an asset, not knowing this is like reading a map without knowing where to go. Image | This entry was posted in Art, Design, Illustrations and tagged Eiko Ishioka, original, revolutionary, steve jobs, timeless, unique. Bookmark the permalink.